A Mitchell Professorial Fellow, Peter Noonan has played a major role in shaping policy in Australia’s education and training system. He has experience working as a policy adviser, senior executive and consultant to federal and state governments, universities, higher education providers, and TAFE institutes, and has been instrumental to several major policy changes and reviews. Peter has held a number of senior appointments including: adviser to the Minister for Employment Education and Training in 1987; head of various state government departments and authorities; General Manager for Strategy and Planning at Victorian State Training Board; General Manager of the Australian National Training Authority; Deputy Director General in the Queensland Department of Employment Training and Industrial Relations. He was a member of the Expert Panel for the Review of Australian Higher Education (Bradley Review) in 2008. For The Allen Consulting Group, Peter undertook a Review of Post-Secondary Education for the Queensland State Government, led work on Schooling Resources Standard for the Review of Australian Government School Funding (Gonski), and led a major project to develop a model of the Australian tertiary education system. 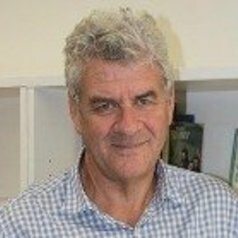 Peter’s work as a Mitchell Institute Fellow is focused on the future shape of tertiary education in Australia including its interface with secondary education and with the labour market. He is Professor of Tertiary Education Policy at Victoria University and an Honorary Senior Fellow at the Graduate School of Education at The University of Melbourne.